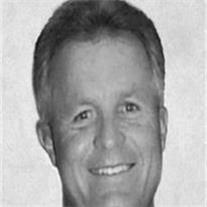 John Thomas Koontz, 56, passed away on Monday, July 30, 2012. John was born on August 30, 1956 in Evansville, IN. Early in his life, John and his family moved to Mesa, which he always considered his hometown. John graduated from Mesa High and ASU. His passion was his family and friends. Everyone who knew him was touched by his generous spirit and devotion to those he loved. John was preceded in death by his parents, Dora Kirkham and Harry Koontz. He is survived by the love of his life, Kimberly, and three children Justin, Kayley and Tanner; his sisters Diana Teachout, Bobby Smith, Peggy VanSant, Sharon Fort, and his brother Steve, as well as many nephews and nieces for whom John will always be the favorite uncle. Visitation will be Wednesday, August 8, 2012 from 6-8 PM at Bunker’s Garden Chapel, 33 N. Centennial Way, Mesa AZ 85201. Funeral service is Thursday, August 9, 2012, at 10 AM at the LDS Queen Creek Chandler Heights Stake Center, 7361 S. Constellation Way, Gilbert, AZ 85298. Those wishing to honor John’s memory and support his children’s education may do so by contributing to the John Koontz Memorial Fund, c/o Todd Johnson, 2900 E. Broadway Blvd Suite 113, Tucson, AZ 85748.